Indulge in simple luxury with this two-tone ring. 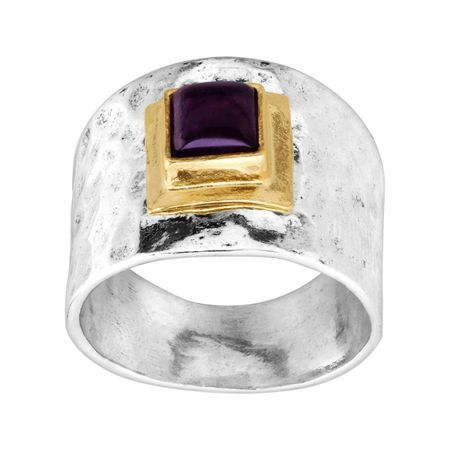 A natural amethyst is set among 14K gold-plated sterling silver on a hammered sterling silver band, perfect for pampering like a royal. Ring face measures 5/8 inches in width.